A sports injury is always possible whatever the level of sport you enjoy. Getting you out of pain and back to full fitness, as quickly as possible, is my priority. I always consider the patient as a whole. A thorough assessment of why the injury happened is essential to prevent injury recurrence. During the rehabilitation process I always offer advice on alternative activities in order to reduce any detraining effect. I have worked at all levels of Sport from elite to recreational. 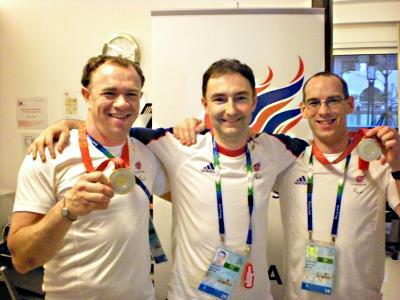 I was Sports Physician to the London 2012 Olympic Games and the 2008 Great Britain Beijing Paralympic Team. I have also worked in numerous other sports including professional football, rugby union and swimming. My experience in musculoskeletal ultrasound, rehabilitation, rheumatology and tendon injuries are invaluable in helping me successfully manage sports injuries.